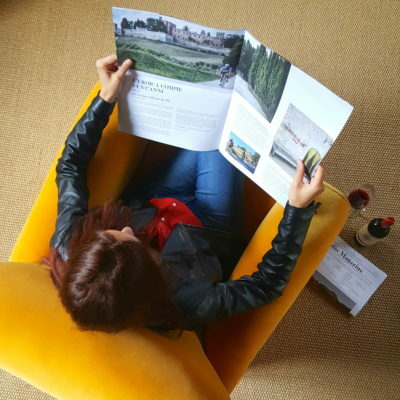 We mentioned it between the lines of the posts preceding Vinitaly, and we published a photo of it in the post after the fair in Verona, but we’ve never dedicated an entire post to it. 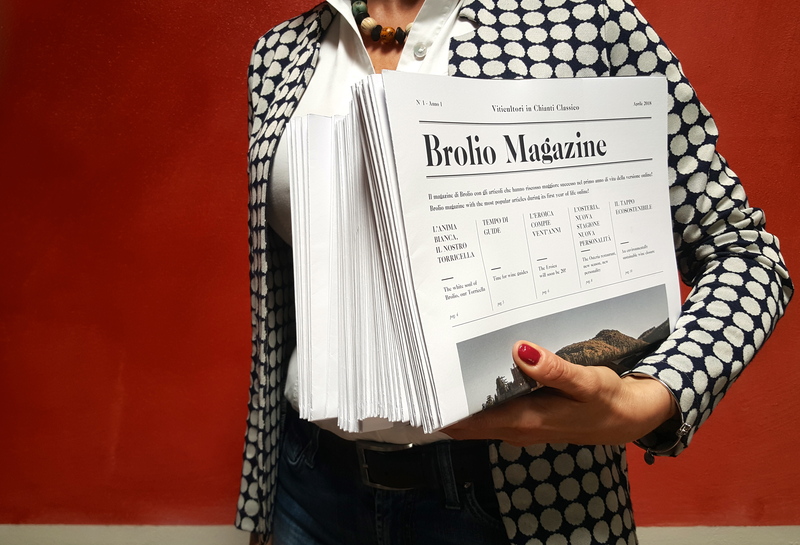 So it seemed good, or at least appropriate, to give it a space all its own here in our Brolio Magazine. After all, no one deserves it more! 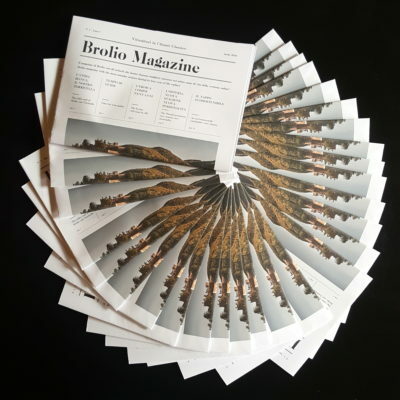 We’re of course speaking about the printed copy of Brolio Magazine, which came out in April just in time to be distributed during Vinitay until October, when it will be replaced by the second issue. It was a lot of work for us, but in the end the result was worth all the energy spent in the project. 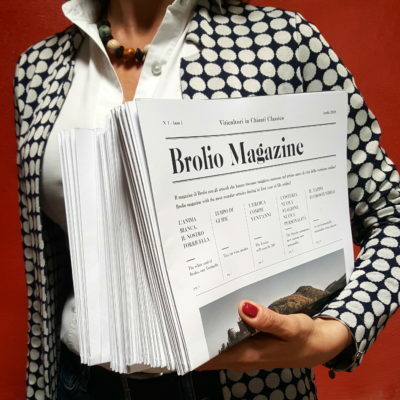 It was “Brolio Magazine with the most popular articles during its first year of life online.” Which is what it was: Brolio Magazine, which is what you’re reading at this moment, was first published in April last year with the aim of reporting on Brolio every Thursday, in a post completed with images that are mostly shot directly by Francesco Ricasoli. It was a project that we believed in a great deal at the time. And given its success we wanted to make a print copy as well, containing the synthesis of the first year. 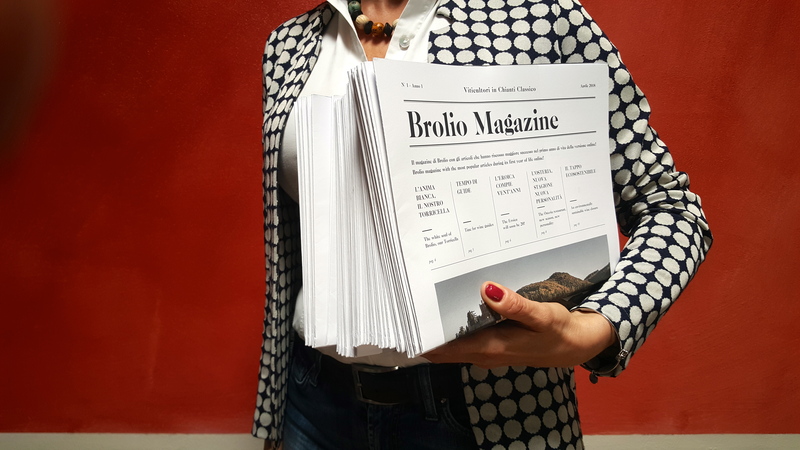 In this 1st issue we published the six most-clicked posts, and you may remember the first among all is “Castello di Brolio, a wine or a place?” This is followed by “The white soul of our Torricella” on page 4, “Time for wine guides” on page 5, “The Eroica will soon be 20!” on page 6, “The Osteria restaurant, new season, new personality” on page 8 and lastly, on page 10, “An environmentally sustainable wine closure”. To highlight the connection to the online version, the final page contains a screenshot of the magazine on the day the printed copy went in print! Once the days at Verona ended, our magazine is now embellishing the Agribar, the Osteria restaurant, the Agresto and the Enoteca Wine Shop. We’ve received a number of appreciative comments and requests to keep the magazine after leafing through it, and now we’re beginning to prepare the 2nd issue, which will be out in October.